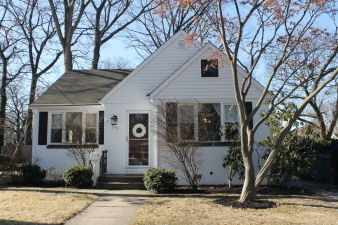 Charming Cottage wonderfully located in the Heart of Palmyra! Tucked between the Charles St. School and Legion field park & playground, this 3 Bedroom adorable single-family is a Great place to call Home! With freshly painted exterior and inviting curb appeal, this property offers many Replacement Windows, Driveway parking, stamped concrete side Patio, Fenced in rear yard, and new storm/screen doors! Entry foyer with coat closet, Cozy Living Room boasting the original wood flooring and tons of natural light, Designated front facing Dining room with chair rail plus an Adorable Kitchen featuring included appliances, new track lighting and patio entrance!